Wiz Khalifa is probably adjusting to life outside of matrimony.This would explain the rapper's latest eccentricity. 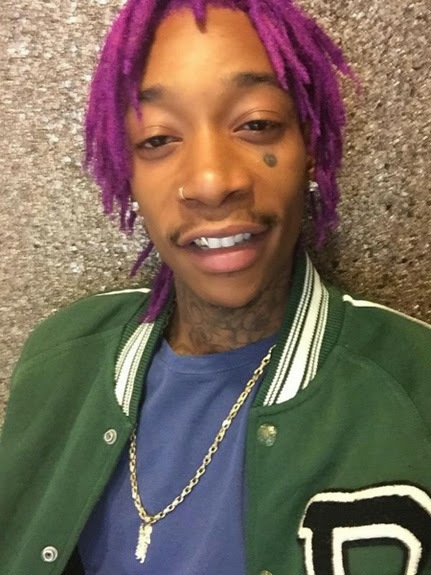 Wiz Khalfa got everyone talking when he posted pics of his newly dyed locks(scream for help).Quite strange that he could change his hair color after parting ways with Amber Rose.Must be tough enduring the public embarrassment of his impending divorce. Take it easy,weirdo(like you aren't weird enough).Check out the picture.